Despite working in the Hospital for two years, the room where he sits, between two tight desks, is temporary. On the table, which seems too small perhaps because it is crammed, there are two computers and important papers, one of which is a plan of what is intended to become the new Delivery Ward of the Santa Maria Hospital. It mathematically organizes each subject without apparent additional aids, knows its agenda down to the last detail and is always available to squeeze in one more subject. Two days after I first contacted him, he welcomed me to talk about his new position. With objective answers about what is essential for him, he does not shy away from saying what he thinks and does not bring any positions or acquired merits into the conversation. Diogo Ayres de Campos developed his career almost entirely at the Faculty of Medicine of the University of Porto and, despite having spent some time in Cambridge and having a British accent that does not betray him, he also completed his PhD and aggregation in northern Portugal. He only moved to Lisbon in January 2017, when his wife and two daughters were already living in the capital as a result of their career choices. Moving was almost inevitable, to be close to his family, but also because he was very familiar with the staff at the Obstetrics Department of the Santa Maria Hospital and the good professional relationships and friendships he has both in the Hospital and in the Faculty of Medicine of Lisbon couldn’t make life easier for him. At the Faculty of Medicine he took the position of Luís Graça, a Professor who retired 3 years ago and had directed the Obstetrics, Gynaecology and Reproductive Medicine Department of the Santa Maria Hospital (CHLN). His portfolio of international scientific contacts was possibly one of the most important factors in choosing Diogo Ayres de Campos to succeed Professor Graça as Head of the Obstetrics Department of the Lisboa Norte Hospital Centre ((CHLN), but it was surely not the only one. Even as a student, he knew that he would choose between two areas connected to surgery – general surgery or Gynaecology and Obstetrics. The latter grew stronger and stronger as he eliminated all the areas that forced him deal with the end of life. “I don’t deal very well with terminal illnesses and with very negative outcomes, it would affect me psychologically,” he says. Hence Obstetrics as a very natural choice “because 99% of the times things run smoothly”. Intrapartum was always his preferred area of research, specifically the aspects related to foetal monitoring and the clinical response to obstetric emergencies. He was co-inventor of the automated cardiotocography analysis system OmniView-SisPorto” (Speculum, Lisbon), and the obstetric emergency simulator Lucina” (CAE Healthcare, Montreal, Canada), both developed to promote safer births. Diogo Ayres de Campos also coordinated the creation of the standards of the International Federation of Gynaecology and Obstetrics (FIGO) on intrapartum foetal monitoring. Created 50 years ago, CTG remains the most widely used method for monitoring foetal oxygenation during labour. The recommendations of the FIGO brought a greater uniformity to the interpretation of exams, as well as to the clinical response to the different alterations found. He says that he strongly believes that physicians should not interfere with the course of nature, except where absolutely necessary to avoid an illness or an adverse outcome, a concept that is particularly important in a physiological situation such as pregnancy. Despite the fact that in the last 80 years obstetric and neonatal care has led to a reduction in maternal mortality of around 100 time less, and of around 30 times less in perinatal mortality (affecting foetuses and new-borns), the truth is that we still know virtually nothing about the mechanisms that lead two cells to come together and generate a new human being”, he explains. This and other miracles of life should lead us to feel a great respect for nature, not to think that we are more important than it. 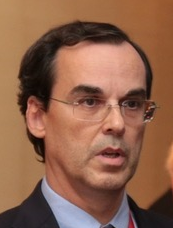 Used to socialize internationally among his peers and scientific committees, he is called on several occasions to share the Portuguese experience with the reduction of the rate of C-sections, seen internationally as an example of success in combating a problem that has reached alarming proportions in various parts of the world. His motivations led him to become a member of a committee of the International Federation of Gynaecology and Obstetrics and a WHO panel that dealt with this issue. Elected in September last year Chairman of the European Association of Perinatal Medicine – EAPM -, he is responsible for leading the only European scientific society of Obstetrics and Neonatology, fostering the creation and sharing of knowledge in these areas. He has published 121 scientific articles in journals indexed in Medline, 1 international book, signed chapters in 16 international books, and gave 168 lectures by invitation in international scientific meetings. He says that he lives well with those who disagree with his views, “provided they express it in a respectful and non-confrontational manner.” The plurality of ideas and the richness of the arguments should be one of the assets of the university environment and it is one of the main features of his way of seeing an academic hospital service. In a month in which the main theme is precisely that of beginnings, the temptation to talk about life and when it begins was obvious. But Diogo Ayres de Campos is facing another major beginning, leading the Obstetrics Department of one of the largest hospitals in the country, which solves major problems that no one else knows how to solve. When does life begin for an Obstetrician? Diogo Campos: That issue is complex and goes far beyond the scientific scope. Talking about what life is and when it begins is more connected to personal beliefs than to the accurate knowledge of any phenomenon that unequivocally determines this moment. Knowing so little about the phenomena that lead to the development of a living being, how can we define whether life begins at the time of fertilization, implantation in the endometrium, the first heart beats or the development of the central nervous system? We only know the “tip of the iceberg” of the whole process, so we need to face the subject with the corresponding modesty. The potential for the development of a new human being exists from the moment of fertilization, so any subsequent external interference means exactly the same to me, no matter when it takes place – we are preventing a new life from developing. I fully understand that many women want to interfere with this process for the most diverse and justified reasons, and I respect my colleagues who are willing to help them, but personally I have never been able to do so. My reasons are related to a personal sensitivity that tells me that I came to Medicine to help people, but that I have no right to determine when a human being lives or dies. I would like you to tell me about the importance of the role played by the National Committee for the Reduction of the Rate of C-Sections, and if the national paradigm has somehow changed. Diogo Campos: You known that before the creation of the National Committee in 2013, there had been a pilot experience in northern Portugal in 2009, a sort of test to assess what could happen in the rest of the country. The fact is that it was extremely effective and led to significant reductions in the rate of C-sections, not only in northern Portugal but also in the rest of the country. What the National Committee proposed to the DGS and the Government was mainly a strategy to inform the population and healthcare professionals about the risks of unnecessary C-sections. This initiative included the development of clinical recommendations under the supervision of the DGS. It also involved the creation of financial incentives for hospitals to reduce their rates of C-sections. In 2009 these incentives were positive, with additional funding, but in 2013 amidst the financial crisis, they became negative. These incentives are still applied by the ACSS (Central Administration of the Health System), which is responsible for the contracts concluded with the hospitals. In the National Health Service (SNS) we managed to reduce the rate of C-sections, which was about 33% in 2009 to nearly 27% in 2017. In private hospitals the effect was much more modest, dropping from 66% to 63%. During this period, there were continuous improvements in indicators related to morbidity and quality of obstetric care. At the national level, the rate of C-sections is now approximately 32%. Diogo Campos: Unfortunately it is not only Brazil, but also China, Turkey, Egypt, and several countries in Eastern Europe that have very high rates, many of them above 50%. For a woman who is about to have a child and thinks about having a C-section because she is more comfortable and can plan everything in detail, what is the main message you would like to convey? Diogo Campos: A C-section entails additional risks for the mother and the baby. For the mother, the risks are mainly related to infection, haemorrhage, thromboembolism, and surgical lesions. There are also increased risks in a future pregnancy, related to anomalies in the implantation of the placenta (placenta previa and placenta accreta – the latter with high mortality rates). For the new-born, a C-section has additional risks of respiratory complications, even when performed at the end of the pregnancy. Then there is an increase in the incidence of asthma, diabetes and childhood obesity, which are aspects related to the absence of contact of the baby with the microflora of the birth canal. On the other hand, it is important to say that C-sections are safe procedures and that although there is an added risk, the absolute value is low. Naturally, it is necessary to continue to perform C-sections and, in many cases, they are essential to ensure the safety of the birth. We only intend to avoid unnecessary C-sections. Can there be a critical scenario in which one has to choose between saving the mother or the baby? Is there a rule for that decision? Diogo Campos: It happens occasionally and the rule is clear – the mother’s life always comes first. I remember, for example, a situation that happened to me a while ago, of a woman who was 24-weeks pregnant, in other words, with a very premature baby, and she suffered a detachment of the placenta with abundant haemorrhage. For the baby it was naturally important to stay longer in the mother’s womb so its organs and systems would be mature enough to deal with the extrauterine environment. But the mother continued to bleed profusely and her life was at risk. We can’t hesitate at times like these. We performed a C-section, the placenta was removed and the mother’s bleeding controlled, but the baby didn’t survive due to complications related to prematurity. Until you communicate a clinical decision to the mother, or to the parents, do you feel upset? Diogo Campos: In the specific case I mentioned I wasn’t that upset, because it was a clear choice in favour of the mother’s life. But there are other cases in which the decisions are not so simple to make. Things you have to say and keep you up at night? Diogo Campos: Some things are very difficult to say. I remember a time when I had to tell a pregnant woman’s husband that she had suffered a cardiac arrest during the C-section and that we were afraid that she would have serious neurological injuries, which were indeed confirmed. It was a very painful moment. I remember telling bad news related to the death of a foetus, or situations of repeat abortions. The feeling of loss in these situations can be very similar to the loss of an adult relative. These are moments of life in which a woman’s expectations about motherhood are profoundly shaken. Even more so when there is a need to face the possibility of not being able to have more children. Do you interfere in this type of advice? Diogo Campos: Regardless of the choices in question, we always seek to provide advice that is balanced and informative, appropriately adjusted to the situation and the people involved. Typically, present-day medicine is based on helping people to make their own choices, after being duly informed about the situation, of course. On January 1 you took up your position as Head of the Obstetrics Department here at Santa Maria. What are the main challenges you will be faced with? Diogo Campos: The Obstetrics Department, built under the supervision of my predecessors, Prof. Luís Graça and Dr. Nuno Clode, had already brought together a clinical team with excellent technical and human skills. I believe that the advantages I can bring to the Department are mainly linked to organizational aspects and to my international experience. Promoting a collective spirit, anticipating problems, and establishing constructive dialogues that result in common strategies are things I may help implement. Promoting the Department in the academia and in national and international scientific circles will also be a clear investment to ensure future continuity. There is a major challenge today, which is the poor quality of the facilities. This area of the hospital has not been subject to major renovations for years and the conditions are far from being the best. Fortunately, the Board of Directors of the CHLN is very sensitive to this problem and strongly committed to carrying out construction works, initially to build a new Delivery Ward and, later on, to renovate other areas of the Department. 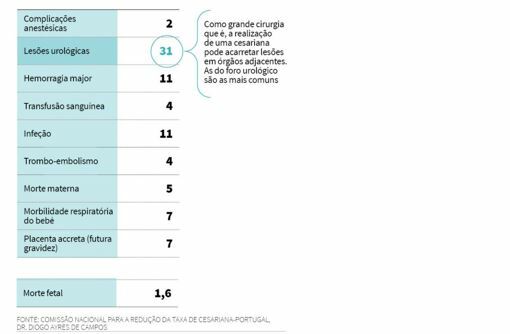 Currently, 15% of the births in Portugal take place in private hospitals, and the high rate of C-sections in these facilities lead the national average to be slighted above what would be desirable. There has been a downward trend since 2009, and it is probably the success of the figures that leads many Scientific Societies around the world to invite Diogo Ayres de Campos to spread the message. January is undoubtedly a month of new beginnings for this Obstetrician. And for him, beginnings have everything to do with the mothers who represent something stronger than what he believes he can or wants to control. Life. The mother of all new beginnings.